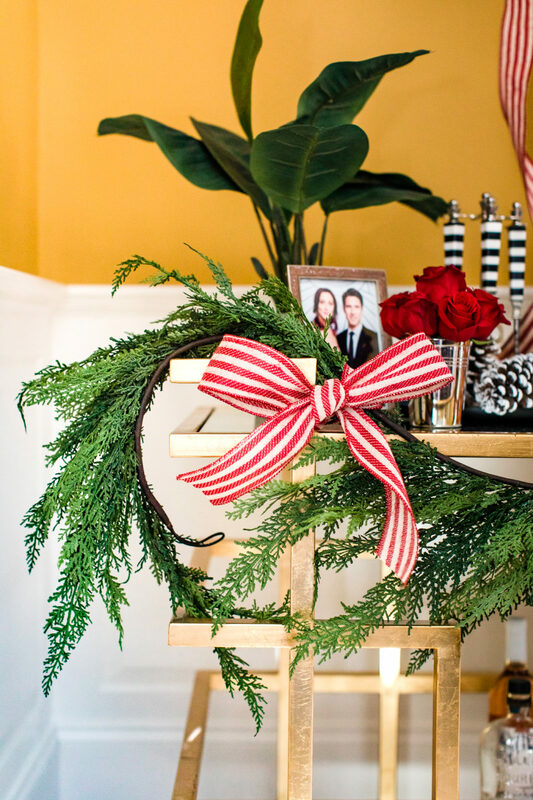 Entertaining during the Holidays has been some of the most fun I’ve ever had– holiday time is infamous for bringing out everyone’s best mood and a little bit of those rebellious, fun vibes as well. I mean, SOMEBODY has to make the naughty list, right? LOL. 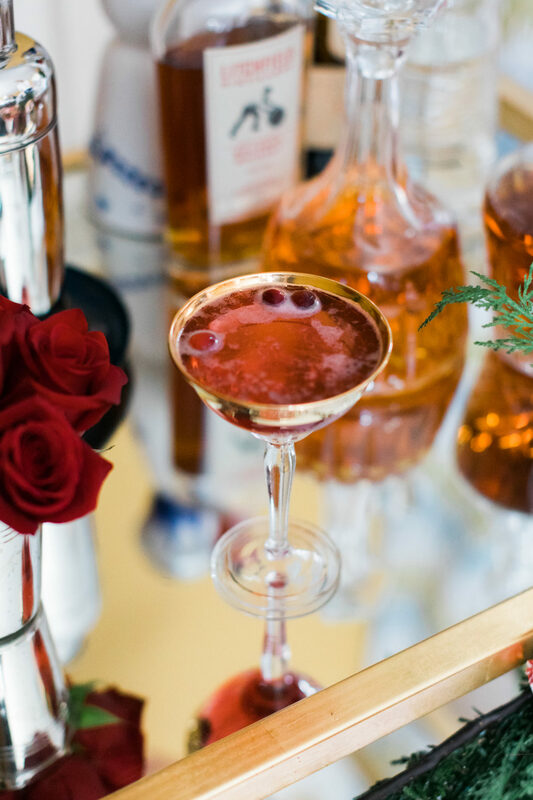 I always love throwing parties during this time, and this year I decided to throw it back to those old-school days and have a Classic Christmas Cocktail Party! I did some research, and there are actually SO many classic Christmas cocktails! Some you may have heard of, and some may be new to you– I’ve tasted them all, and I can tell you without a doubt that they are ALL delicious. 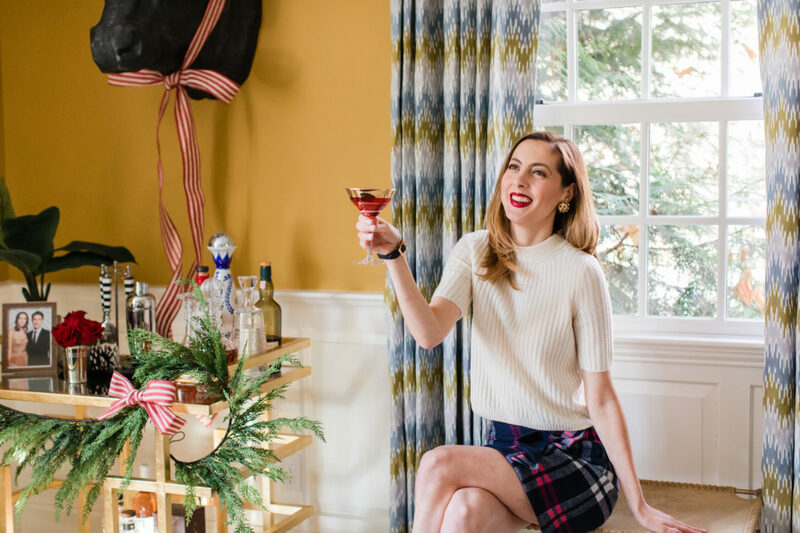 Get classy this Christmas, and throw a Classic Christmas Cocktail party with me! 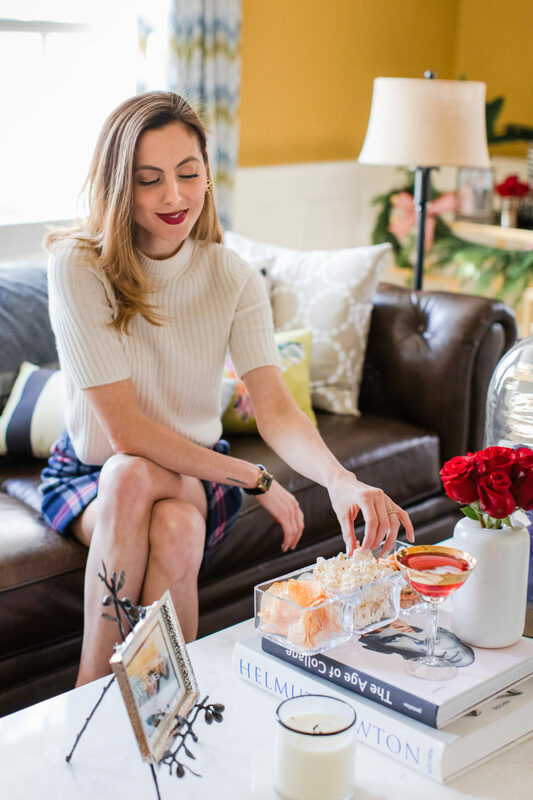 Today I’m sharing all the details. 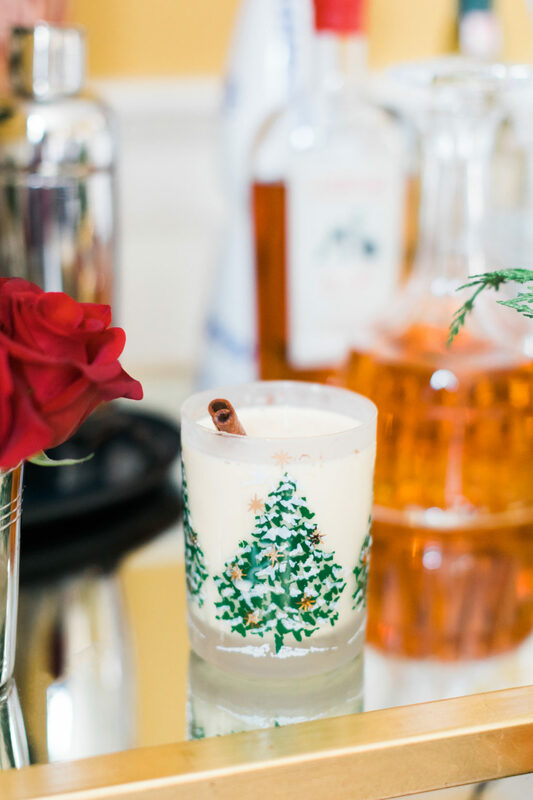 I love serving my classic Christmas cocktails in glasses that I’ve been collecting over the years. Some pieces are vintage (my champagne glasses and the adorable Christmas Tree tumblers from my Grandmother’s collection!) and others are things I’ve picked up over the years to add to my barware collection. 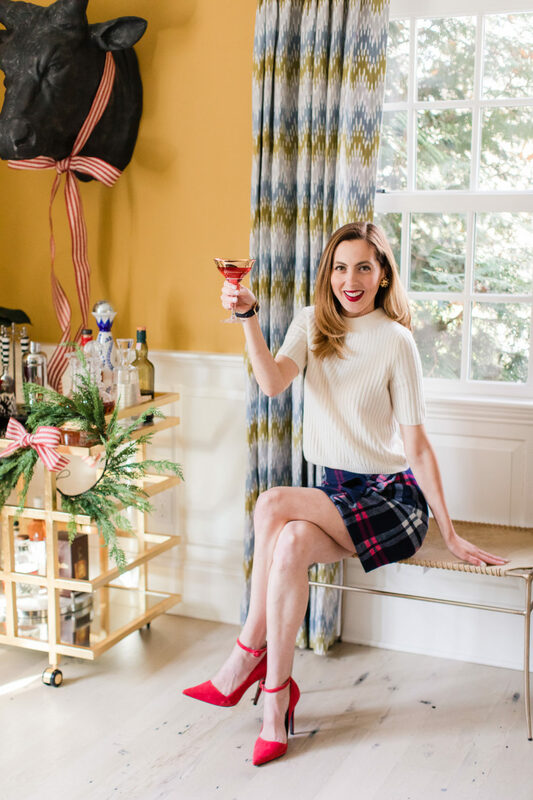 For this party, I wanted to keep the guest list short and sweet so each guest could sip from a special glass of their own, and mingle among our Christmas Decor. 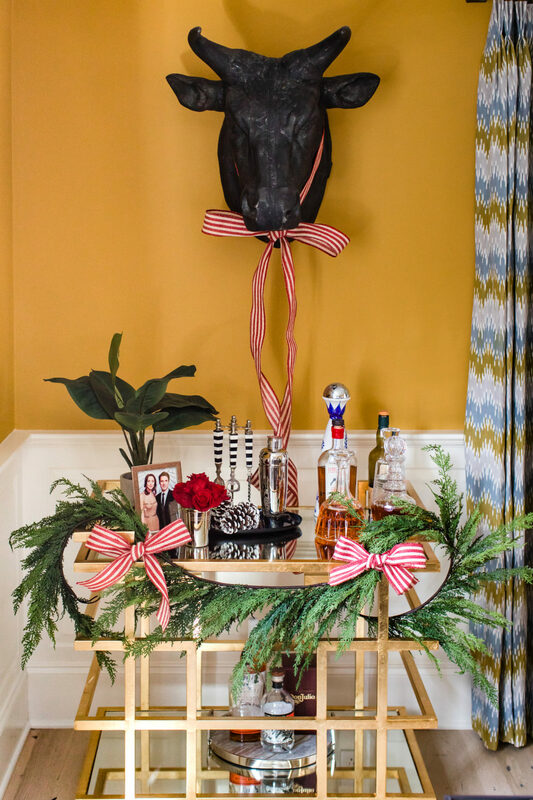 A fully decked out bar cart adds to the charm! 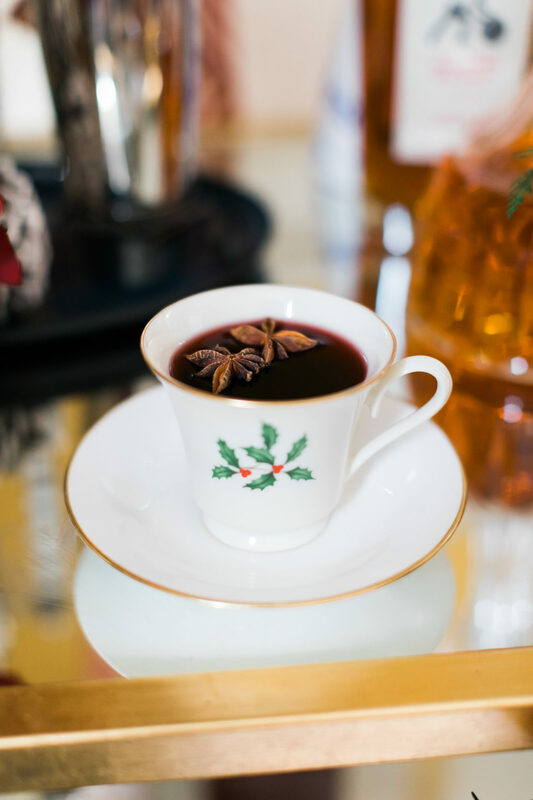 I used to be a total mulled wine skeptic, and then I learned how to make it– and now I’m obsessed! It’s beyond simple to make and is SO delicious, especially during the colder months. We drink this well in to the new year in my household, but it’s especially festive for Christmas! The following recipe makes approximately 8-10 cocktails. Pour first six ingredients in to a large pot or dutch oven, zest the orange in to the pot and then slice it and squeeze out the juice in to a pot. Place on the stove and bring to a boil, then simmer on low for 10 minutes. Serve with orange twist or star anise as garnish! 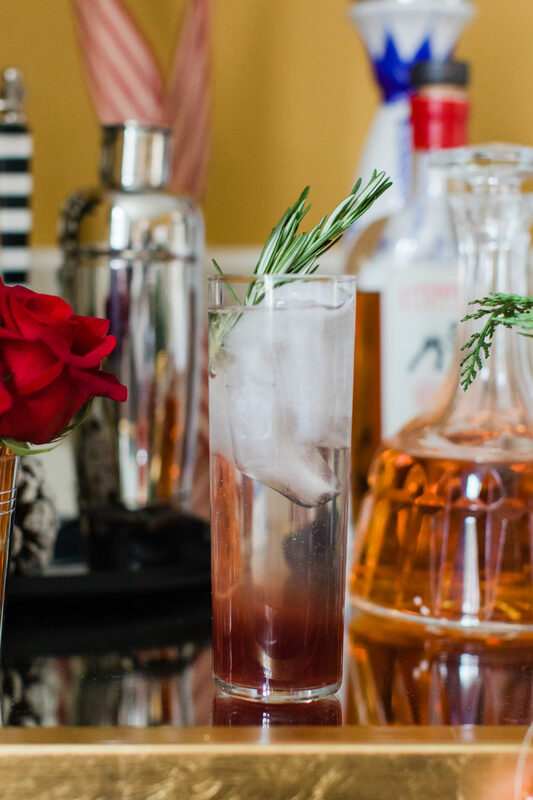 This is as close to a craft cocktail experience as I’m getting at my classic Christmas cocktail party– but it’s very party accessible since you can make all the ingredients ahead of time. I love it because it’s refreshing and gives a nice contrast to the eggnog and mulled wine options. The recipe below makes 1 cocktail. Begin by muddling the blueberries in the bottom of a cocktail shaker. Now add ice to the shaker, and follow with the gin and rosemary syrup. Shake vigorously for 30 seconds. Place ice in a Collins glass, and strain the gin mixture over it. Top with club soda and garnish with rosemary. 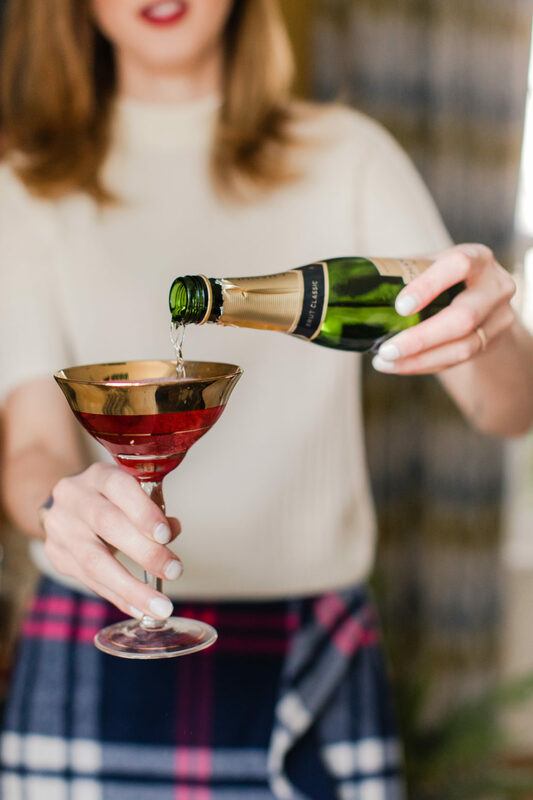 Pour the Cointreau and cranberry juice in to the bottom of a champagne glass. Top with Champagne and stir gently with a swizzle stick. Add 1-3 cranberries to the glass for garnish. Don’t forget the snacks! For cocktail parties I always put out a medley of classic bar snacks. Make sure there is a snack area in every room you expect to mingle in! Love this!!! 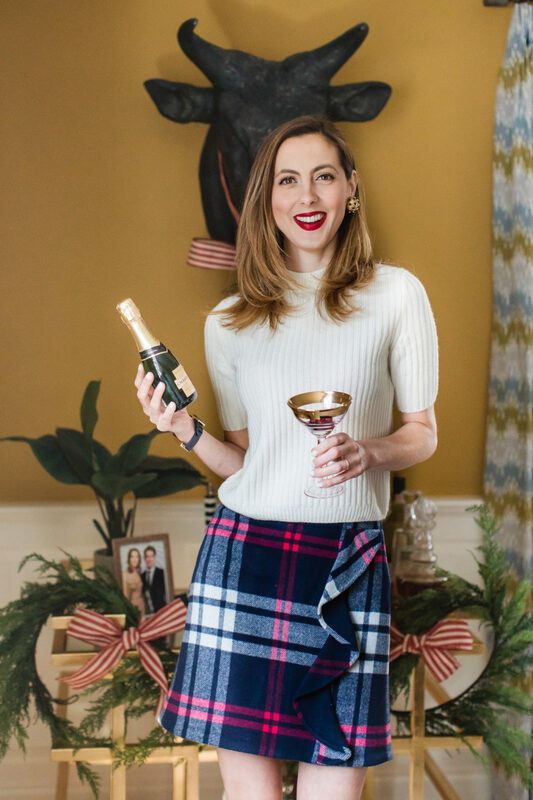 I’ve always wanted to host a fancy cocktail party at Christmas! That Poinsettia looks divine. Also — we tried coco-nog (coconut milk eggnog) and it was EXCELLENT. Much better than the traditional, in my opinion. I love mulled wine! I’ll have to try the other cocktails – they sound delish!